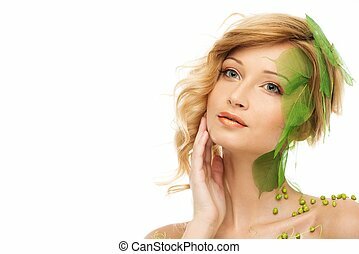 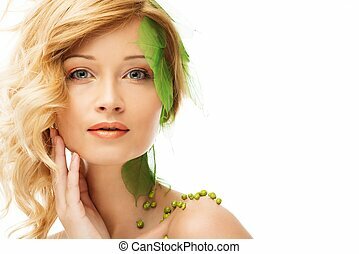 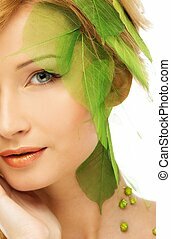 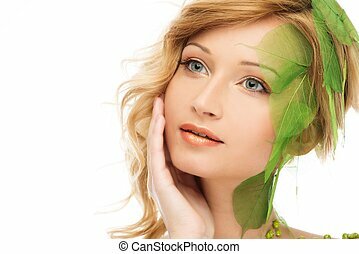 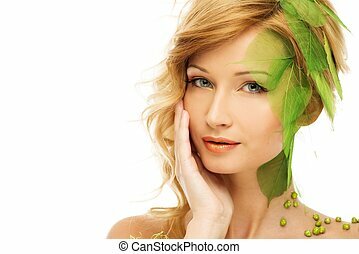 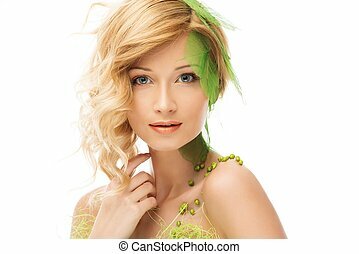 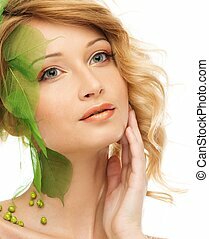 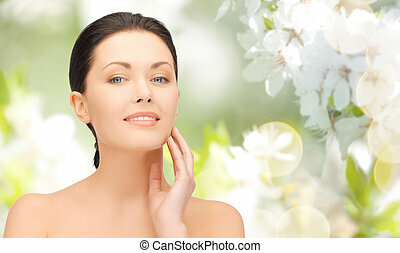 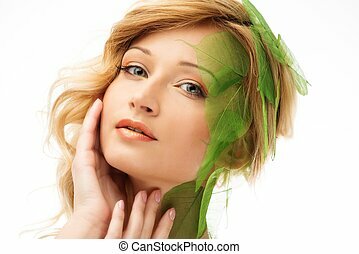 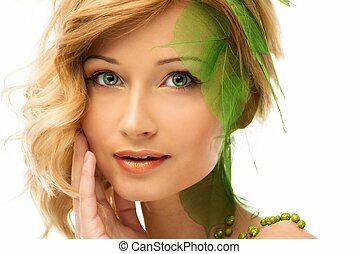 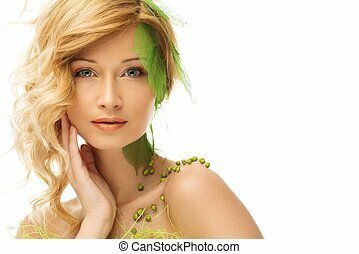 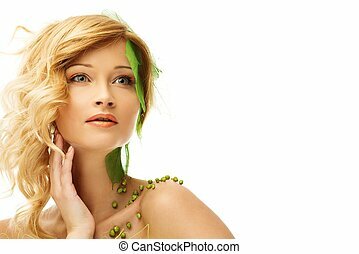 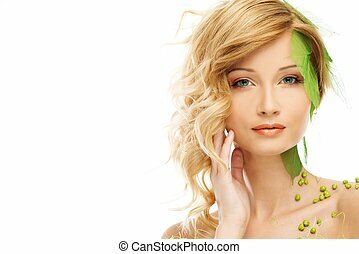 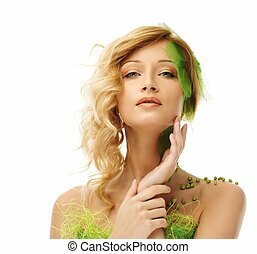 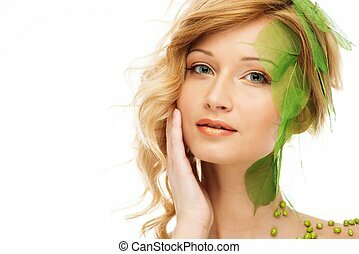 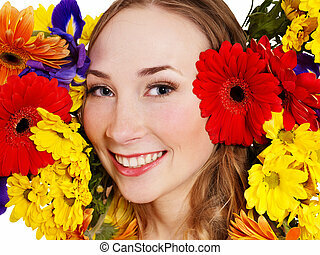 Beautiful young woman in conceptual spring costume touching her face. 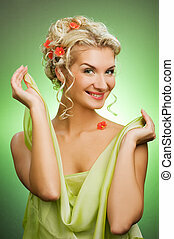 Beautiful young woman in conceptual spring costume touching her face. 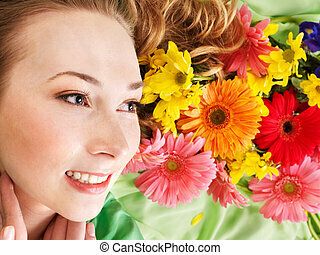 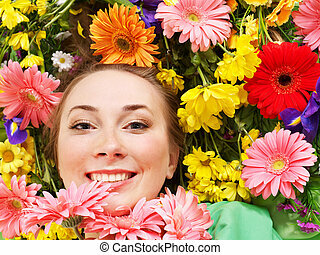 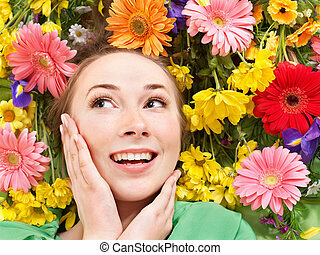 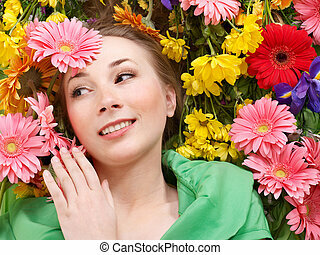 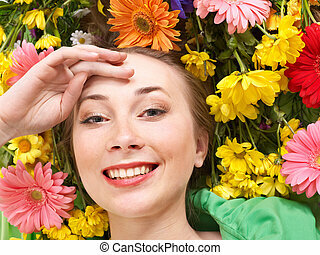 Beautiful young woman in flowers touching face. 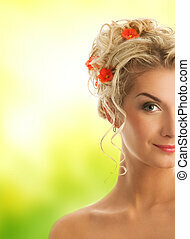 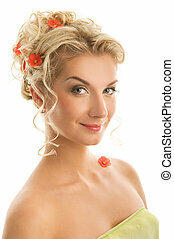 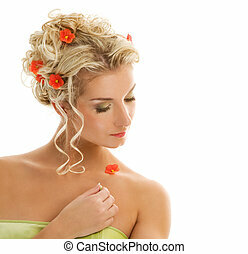 Beautiful young woman with fresh spring flowers in her hair. 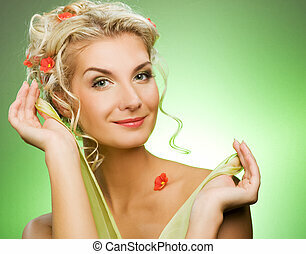 Beautiful young woman with fresh flowers in her hair. 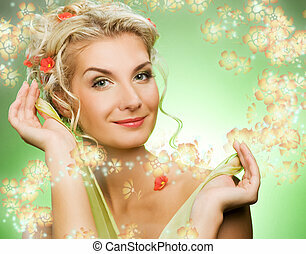 Spring concept.